Hi, Sergio! Welcome back to Watch. Connect. Read! I’ve had a blast talking about This Is Not a Picture Book during my GREAT BOOKS of the Year presentations. What planted the seed for This Is Not a Picture Book? Sergio Ruzzier: Hi, Mr. Schu! Thank you so much for sharing my book. It means a lot to me. For a long time, I had a vision in my head of a little character, face immersed in a book, walking across ever-changing landscapes. So, it was more of a visual beginning, I guess, but only when I thought of the words that could go with those pictures, did I understand there was a story worth sharing. I LOVE This Is Not a Picture Book’s endpapers. Did the idea for the endpapers come to you right away? Sergio: Not right away. It was during the development of my original dummy, when talking with my editor, Victoria Rock, and designer, Sara Gillingham, that we thought we could use the endpapers to enhance the idea behind the story, and to make it more interactive. 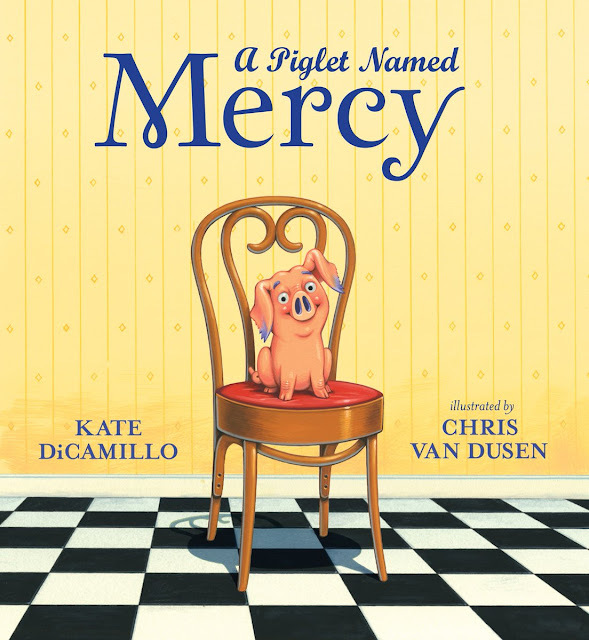 It actually works beautifully during school visits: before starting reading the book, I ask a kid or—even better —a teacher or a librarian to read aloud the front endpapers, the ones with the text all messed up. It’s easy to imagine how much the kids laugh at the adults’ disastrous efforts. At the end, I ask the kids to read the legible version, which is a great way to end the reading. 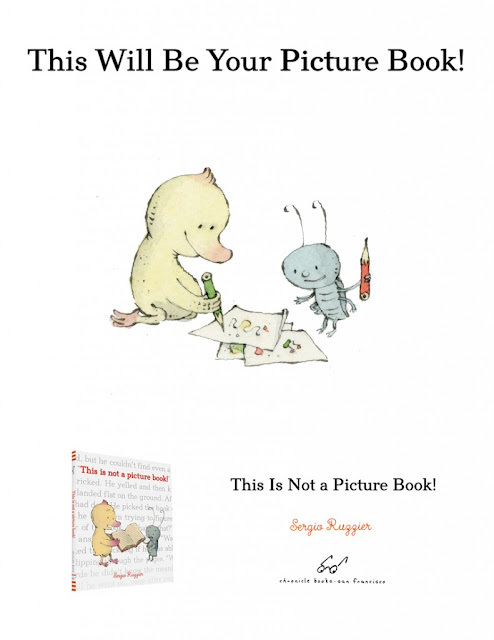 Click here to download the This Is Not a Picture Book! activity kit. At a certain point, when the duckling is frustrated with the book, he yells: “Stupid book!” as he kicks it. How are people reacting to that? Sergio: I haven’t had any bad experience with the children, who I’m sure already know much worse curse words than that. And nobody started calling each other stupid just because they read it in my book. It’s also worth mentioning that the duckling immediately apologizes to the book, and ends up hugging it. It’s also interesting that the Italian publisher of the book, Topipittori, will call it Stupido libro! Thank you for writing “Let Kids Read” for the Nerdy Book Club blog. Sergio: It was a pleasure! Reading levels, as any other kind of similar pressure imposed on children by well- and not-so-well-meaning adults, have always bothered me very much, since I was a very young kid and a struggling reader. I needed to get it out of my system, and took the opportunity offered generously by Colby Sharp and the Nerdy Book Club. In less than three days the article was shared more than three thousand times on Facebook, and I don’t know how many on Twitter. I was amazed at how many people felt the same way on this issue. I saw your tweet that shared the proof pages for Tales for the Perfect Child. What can you tell us about it? Sergio: Florence Parry Heide was such a funny, unique, and even more importantly, honest writer. Think about some of the books she wrote: the Treehorn series, illustrated by Edward Gorey; Princess Hyacinth, illustrated by Lane Smith; Dilweed’s Revenge, illustrated by Carson Ellis… All picture book masterpieces. But my favorites of hers have always been two titles that were originally illustrated beautifully by Victoria Chess: Tales For the Perfect Child and Fables You Shouldn’t Pay Any Attention To. I can’t tell you how happy I was when my agent, Jennifer Laughran, forwarded to me an email she received from Emma Ledbetter of Atheneum Books, who was wondering if I’d be interested in reillustrating those two books. I played cool and made them wait, answering only a whole minute later. School libraries are there to fill a gap. I’ll explain: as little children, we learn and thrive through stories, and we depend on the adults in our life for that. When we grow a bit older, adults tend to tell us fewer and fewer stories. Luckily, school libraries are there to fill that gap. cooked last night. Bucatini alla carbonara, made with a delicious guanciale I bought in Bologna. That sounds delicious! Thank you for stopping by! 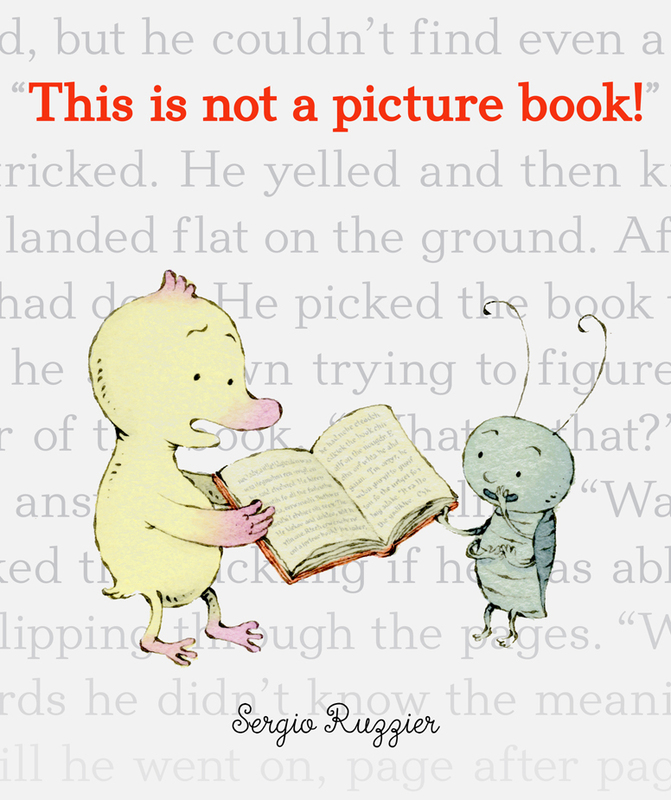 Borrow This Is Not a Picture Book! from your school or public library. Whenever possible, please support independent bookshops.